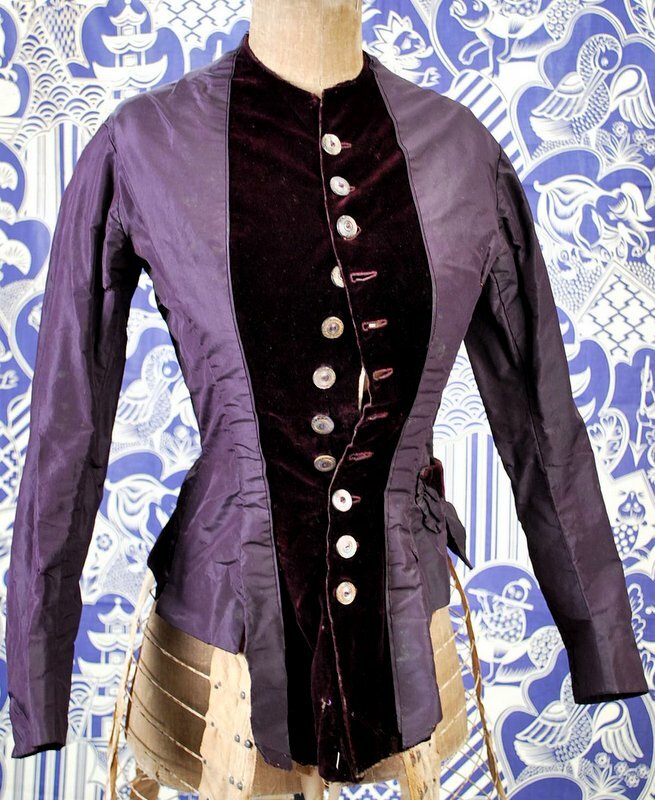 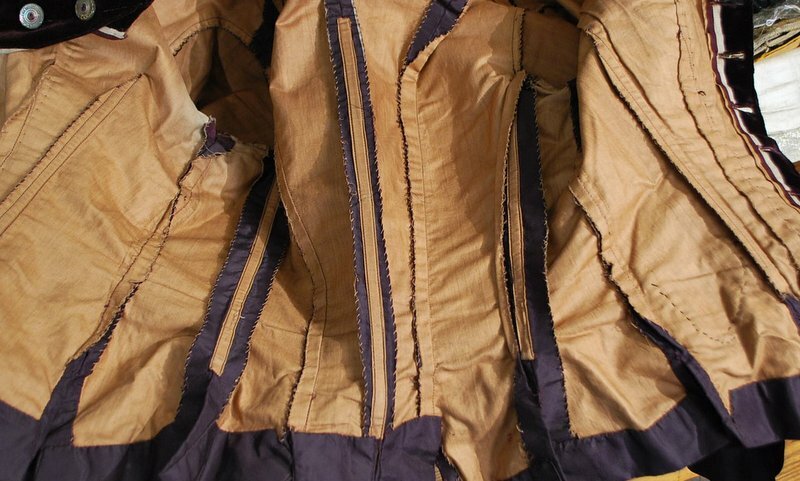 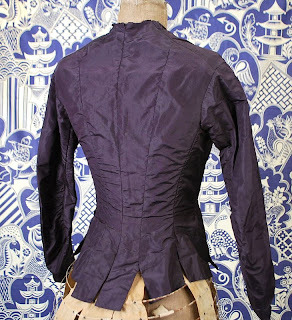 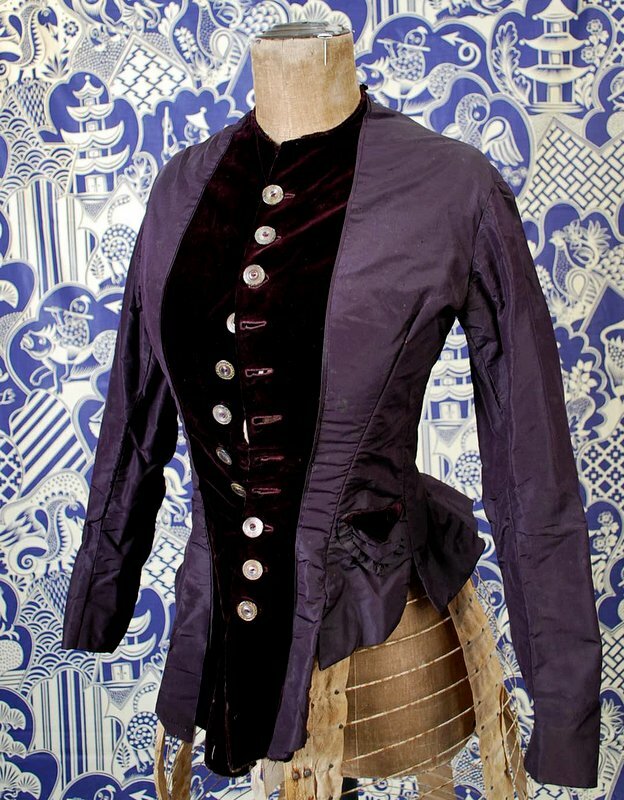 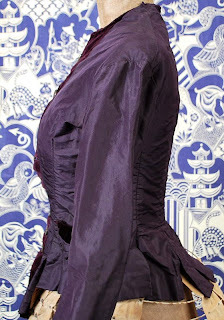 Aubergine silk bodice w/silk velvet insertion, carved mother of pearl buttons, sweet ruffled watch pocket at side, split tails at the back, fully lined with stays. In excellent well made condition, slight small discoloration under arms. Chest measures 32", waist 24", sleeves 20", length in front 19". It looks like a collar was taken out and they never finished re-constructing the garment.